HAIM’s latest music video “Want You Back” immediately made us want to wander the streets of L.A., but there was another (less dangerous) feeling we couldn’t shake: are mom jeans finally cool?Despite its previously divisivereputation, we’re convinced the answer is a resounding yes. Let the band’s attainable style (and four more outfit ideas) show you how to wear high-waisted, straight-leg denim just about anywhere, ahead. 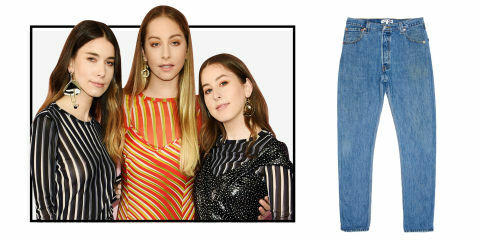 Directly inspired by the video, we’re swapping HAIM’s likely vintage finds for easily shoppable alternatives. First cop a pair of Re/Done x Levi’s reworked denim (the natural choice when searching for this mom jean style), then pair it with a future-vintage tee from L.A.-based label Monogram. Kendall Jenner taught us that the going out top is key to 2017, but you don’t need a metallic top reminiscent of Paris Hilton. 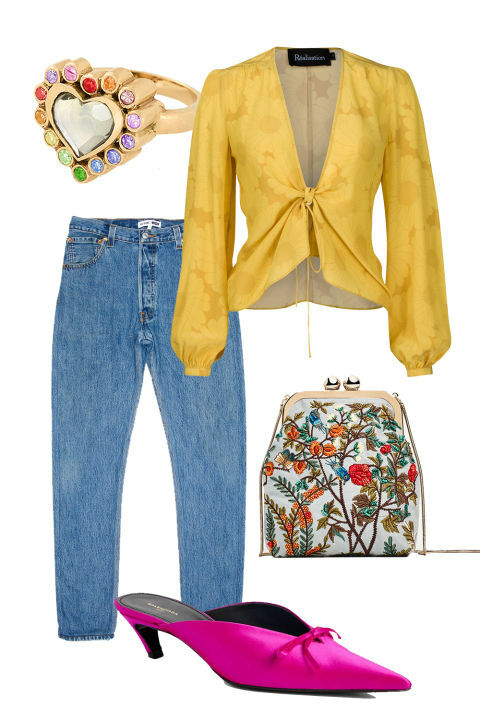 Play with color and use your mom jean as the outfit’s grounding neutral. 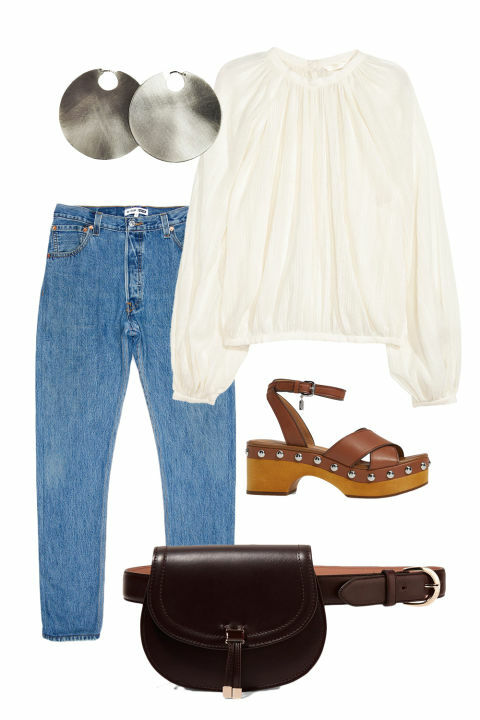 A pair of comfy clogs and a billowy top will give structured mom jeans a bohemian feel. Unexpected accessories like a belt bag (not a fanny pack) and disc-sized earrings take this look to the next level. Whether this on-trend hat belongs to baker boys, cabbies, or fiddlers, the hat of many names makes every outfit better. 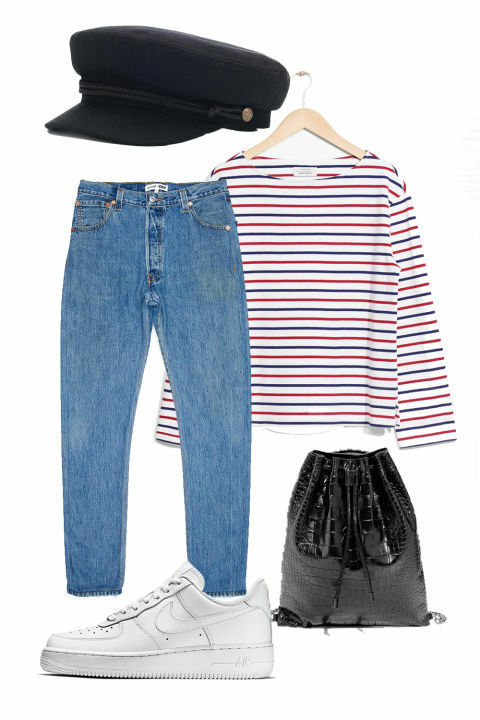 Style it with your trusty mom jeans for a pulled-together look ideal for Saturday morning errands. If your office goes lax on the dress code, dress up a pair of MJ’s with a work-friendly button down and a trench coat. Then polish off it off with Saint Laurent’s business-in-the-front pumps and a structured bag.